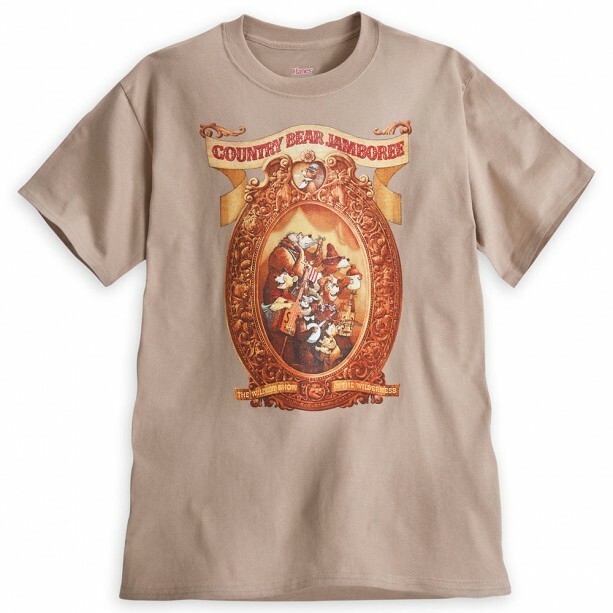 The latest Disney Parks attraction T-shirt is celebrating the Country Bear Jamboree. The shirt arrives at the Disney Parks online store on June 23 and will be available to order through June 29. The Country Bears shirt features artwork inspired by the original attractions poster that was designed by Jim Michaelson, Marc Davis, and Eddie Martinez. The attraction opened in Frontierland in the Magic Kingdom in October 1971. The new T-shirt was created by Disney Design Group artists Richard Terpstra, who used elements of the original poster. If you’re a fan of the Country Bear Jamboree, stop by the Disney Parks online store beginning June 23. The shirts will be delivered 4-6 weeks after the orders are placed.